Cross-posted at The Bay Link, the joint blog of the Metropolitan Transportation Commission (MTC) and the Association of Bay Area Governments (ABAG). 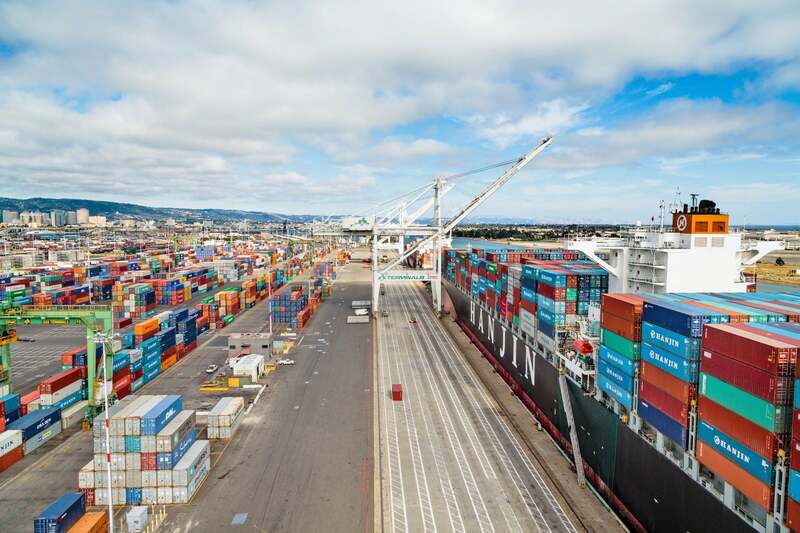 The MTC Commission yesterday adopted an investment strategy for goods movement which will direct $3.8 billion over 10 years to 20 different projects in the Bay Area, with a particular focus on Interstate Corridors and the Port of Oakland in Alameda County. Currently, almost $1 trillion in freight flows to, from or through Northern California every year and these flows are projected to double by 2040. The goods movement sector is crucial to the success of many other related industries and is a key component of the region’s economic strategy for increasing access to living-wage jobs that have low educational barriers to entry. 1. Deliver projects that can improve mobility and economic vitality. The strategy will help implement projects and programs crucial to achieving Plan Bay Area 2040’s performance targets (link is external), including reducing delay on the regional freight network, increasing middle-wage jobs, and reducing per capita GHG emissions. 2. Address community and environmental concerns of freight. The strategy also sets forth a commitment to reduce impacts of pollution on communities, mitigate emissions from existing technologies, and adopt cleaner technologies. These efforts would be led by the Bay Area Air Quality Management District, in coordination with MTC, ACTC, Port of Oakland, and public health and environmental groups. 3. Enable the region to coordinate and compete for state and federal fund sources. Over the past couple years, three new major state and federal funding programs with a direct nexus to freight have been initiated. These include the National Highway Freight Program, the National Significant Freight and Highway Projects Discretionary Program (FASTLANE/INFRA), and the SB I Trade Corridors Enhancement Program. Staff estimates that the region is positioned to receive over $1 billion in funding over the next 10 years from these funding sources alone. As can be seen in the below chart, $3.8 billion in revenues will be available over the next 10 years for the Goods Movement Investment Strategy. Over 50 percent of these funds will come from state and regional sources and the rest from federal, local and other sources. 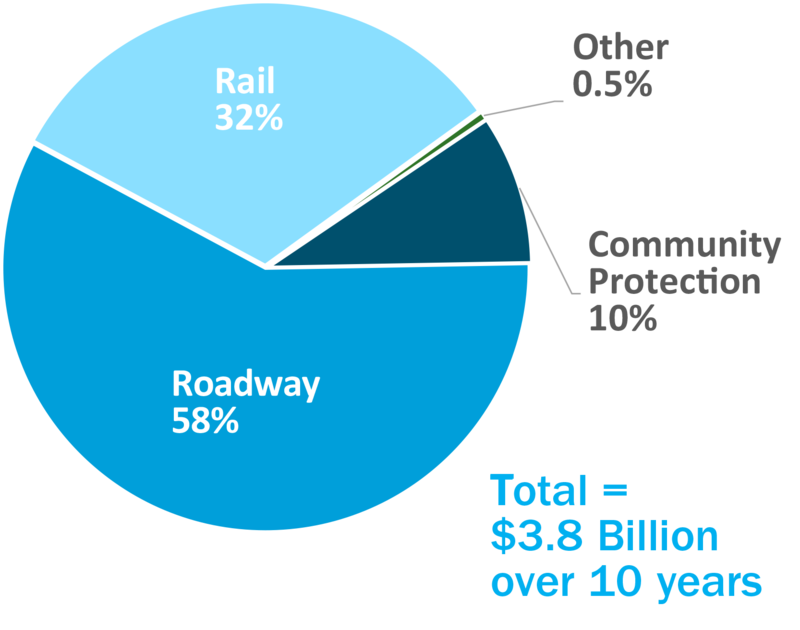 Of the $3.8 billion, approximately $350 million will be directed to Community Protection projects, $2.2 billion will be directed to Freight Roadway projects, $1.2 billion will be directed to Rail Strategy projects, and $20 million for Other projects. Highway interchange and rail crossing improvements are a major focus of the investment strategy, as are projects at the Port of Oakland, as can be seen in the below map. 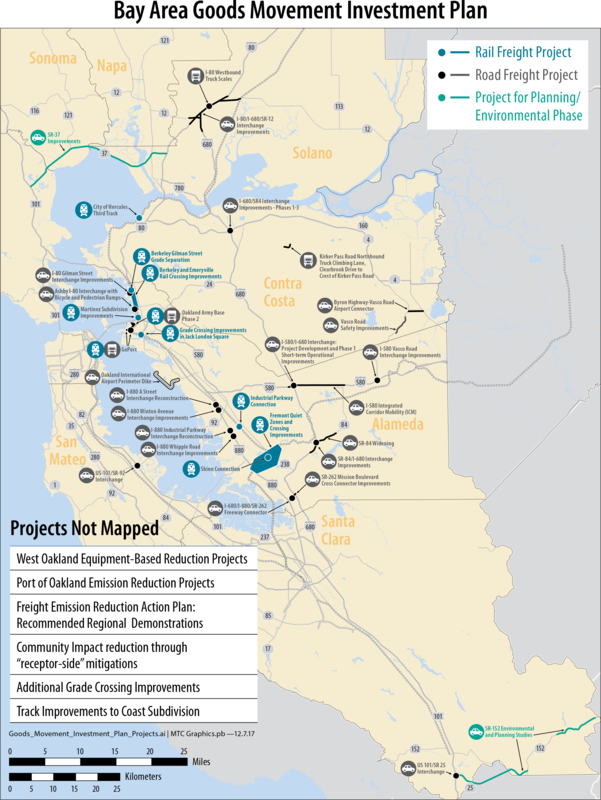 Community Protection projects (not mapped) will primarily be directed to efforts that reduce emissions from equipment, facilities and vehicles in communities that are heavily impacted by goods movement activities, such as West Oakland and Richmond. For more detail on the specific projects, view Attachment B in this handout.